AN award winning Derrygonnelly architect is celebrating success after scooping a top award for Irish Construction Excellence. Former St Joseph’s College student Declan O’Dare lifted the prestigious Building Information Modelling (BIM) Excellence award at a ceremony held in Dublin last Friday. The young architect admits that some of Fermanagh’s prided historic buildings influenced his early interest in architecture. “From a young age I always had a keen interest in art and design, and I soon developed an interest in architecture. 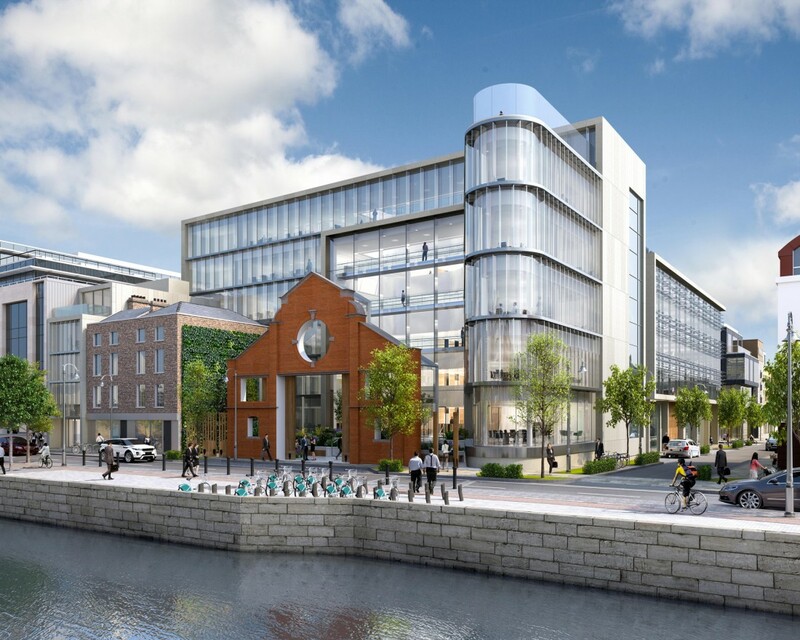 Now Declan is celebrating his latest success for the award winning Dublin building which boasts a multi-storey glass front, with two retail units and 10,487m2 office space, spread over six floors and overlooking the River Liffey. Declan worked on the project along with Henry J Lyons Architects. The team used the latest BIM technology to design and produce the project to completion. Once complete Declan explained it will be one of the first and largest commercial projects in the country delivered to such a standard. “A lot of hard work and effort went into the design, detailing, planning and completion of this building, the complex building is adjacent to, and integrated with a number of protected structures on the site, which also informed the overall design. Looking forward to the next challenge Declan notes that the team have completed a tenders for further developments in Dublin. The projects vary from building projects to restoration and redevelopment of iconic buildings.